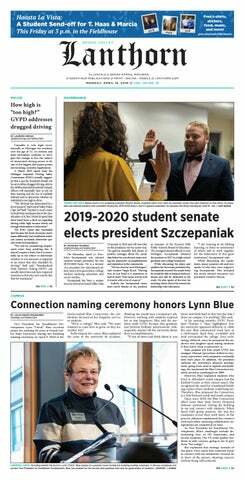 After hearing about the possibility of a fall break at Grand Valley State University, students may be wondering if any action has been taken and whether they can look forward to a fall breather next academic year. Student senate gathered for its general assembly Thursday, Nov. 2, to discuss whether or not the university should make room for a fall break in the calendar, how long the break would last and when it might go into effect. Jonathan Bowman, president of student senate, proposed the amendment for a fall break. Bowman displayed his proposed amendment to the fall calendar with fall break occurring the week after midterms, giving students a Thursday and Friday breather. Bowman pointed out that this change would require the fall semester to begin two school days earlier on a Thursday instead of a Monday. The addition of a fall break to the calendar would affect several aspects of campus life, Bowman noted. Transitions, freshman move-in, convocation, new faculty training and resident assistant training would all have to be moved if a fall break were added to the calendar. Under this calendar change, freshman move-in would likely be Friday through Sunday instead of Monday through Tuesday. “It might be better because parents wouldn’t have to take off work if move-in is on the weekend,” Bowman said. In response to this, the vice president of student senate, Dan Ziegenfelder, voiced that certain vendors and events have already been booked for the 2018-19 year and that adding a fall break to the calendar for next year might cause an uproar among those people. In addition, several senators mentioned that students might not be aware of the process of making a fall break a reality. First, it must be voted on by the student senate, and then it must pass through several departments before it can go into effect. The university might agree to a fall break, but the proposed break as set by the senate might not be accepted. The process may not be as smooth or quick as some students expect. “It might not be possible for it to happen next year," Bowman said. "If it does make it through the University Academic Senate and is approved by the provost, that is going to take a lot of time, and it most likely won’t be approved for next fall." At the general assembly, the changes the fall break would make to the academic calendar were discussed, and other amendments to the calendar were proposed by numerous senators. One suggestion was to remove a day from Labor Day break and add it to Thanksgiving break, giving students more time with their families. The assembly voted to postpone the Labor Day and Thanksgiving break discussion and to vote on only the fall break calendar change that day. From there, the majority voted in favor of a fall break, and the meeting adjourned. Other highlights from the meeting included guest speaker Jodi Chycinski, director of admissions at GVSU, who spoke about the university's efforts to recruit students during September, October and November. Through the expansion of the admissions office at the Student Services building, admissions staff hopes to broaden its recruitment efforts. Currently, the admissions staff piques student interest in GVSU through college fairs, on-site admissions and visiting underrepresented high schools and cities within a five-hour radius. Chycinski said the most effective way to recruit students is by word of mouth. "Our strongest efforts really rely on word of mouth—you, the students, going home and talking about your incredible time here," she said. Guest speaker Rob Kimball, associate vice president for charter schools, also addressed the student senate. He mentioned that GVSU currently charters 74 schools across Michigan, with 26 centering in the Detroit area. At the general assembly, the senate also welcomed four new senators, making the student senate a full body. Thomas Quaine, John Lurie, Amanda Crawford and Sydney Washington were all welcomed by the senate. Student senate meets every Thursday at 4:30 p.m. in the Kirkhof Center Pere Marquette Room.